As the summer holidays are finally upon us, it draws me into a reflective mode. 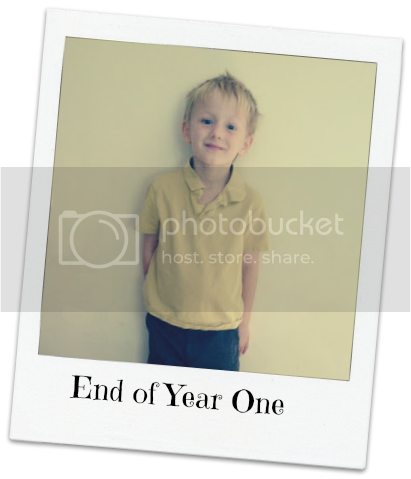 I can hardly believe that big man has completed Year One. 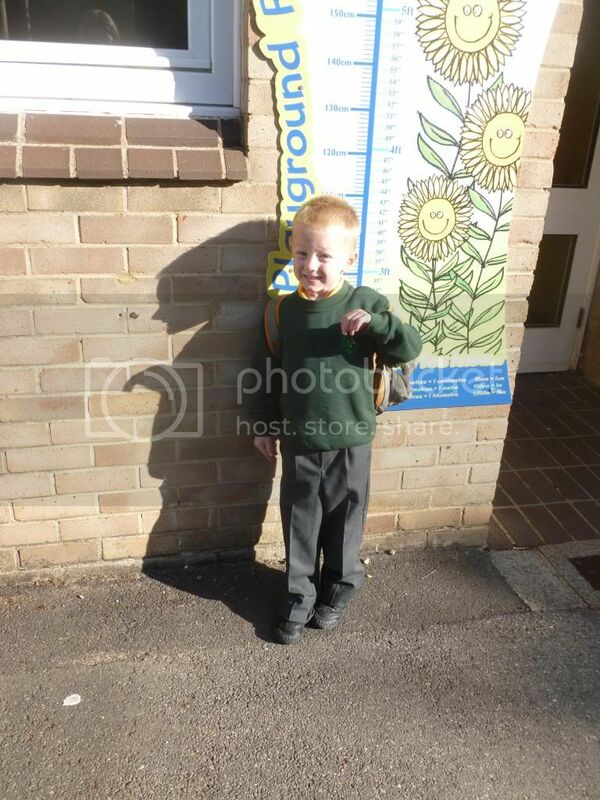 It seems like yesterday that my baby had started reception. I was worried about him making friends. Not being able to read or write anything but his name. I am proud to say that he has come on in leaps and bounds and really is his own little person who is excited and intrigued by life. My worries now have turned into how I am going to take him to his friends birthday parties and what will happen when he reads the "I believe in Santa" signs at Christmas. I mean why wouldn't you!?! I also get a little upset. Another year has passed me by so quickly. It is only a year until he leaves infants. I think a picture of the wall chart will be necessary on his last day. I am hoping that he has done some growing. This year middle man starts in reception too. How has that happened? I do worry about how he will cope with 5 full days but I know deep down he will be fine. So what have I learnt whist big man has been at school? Firstly, it is always a good idea to buy the correct sized clothing. I can laugh about it now, but I was pretty upset when I thought that big man would start on his first day without a jumper that fitted! There is no point in buying a whole wardrobe of school branded clothing. As much as I would love too, it costs a fortune and will just get stained in pen/mud/who knows what. Luckily you can get great quality unbranded uniform for a fraction of the cost. George at ASDA even have a 100 day guarentee on their clothing so if you do get it wrong, you can easily exchange. There is more to life than spending hours sewing in name labels. I still have about 75 sew in tags from when big man started nursery. A sharpie pen does the trick and there is no risk of jabbing a needle into your finger. The little person that you take in and worry about on their first day will soon adapt to their new environment. They no longer need their Mummy to help them make friends. They will develop a longing for learning which requires your best friend to become Google. I honestly don't know how my Mum coped with all the questions and no internet to find the answers. They will continue to make you prouder than you thought possible as they start on their journey to become an adult. My oldest grandchild starts senior school in September. I cannot believe he is eleven now as it seems like he was only born last year. He and his sisters have always had to have school uniforms complete with school badge from only one shop. It is ridiculously expensive. You can buy school uniforms from supermarkets, chain stores etc which are good value but not acceptable by some schools. I am hoping the senior school uniform will not be as expensive as I fear. Lovely post and photos. My daughter is about to start school, and though I know she'll be fine and love it, she's still my little baby to me! Good tips there, I have bought all of her uniform from Asda and she has handy stick in labels! lol - thankfully our third is a good sleeper. They grow up so quick! ooo stick in labels - that saves the time of writing! Oh gosh that is expensive. Luckily our school is fine with supermarket clothes - will need to remortgage just to buy the school shoes! Oh I feel a bit teary now! My eldest is still in pre-school, but before you know it I'll be on Google too, trying to keep up with all the stuff he is discovering. Good times, though. Love the oversized school jumper!! How did you end up with such a massive one?? I have felt the end of the school year more this year as Roo leaves to start Junior School. I hope that Big Man is looking forward to Year 2 along with Middle Man starting Reception.